If you are considering adopting a hound, please think carefully before making your decision. Your new friend will be reliant on you for his food, walks, healthcare and general well being. If you can't provide these for him, be it for financial reasons or purely lack of time, then consider waiting until you are in a position to provide these things for him. Many hounds settle immediately into new homes without problems, however some may have a few more 'quirks' than others and may take that little bit longer to adjust to their new homes. The 'What is your new adoptive Greyhound thinking' page gives us some idea of how a Greyhound entering a home may feel, please do read it. There is also a suggested reading list on the menu with many books that offer help and advice regarding adopting a hound. If you are willing to work through any problems that may occur, you will have a devoted friend and the knowledge that you have made a huge difference to the life of that hound. Prior to any adoptions, an informal home check is carried out by a representative of the rescue. This gives us a chance to meet potential adopters and to discuss any particular requirements so we can endeavour to match the right hound to the right home . Follow up visits are also initially carried out after adoptions to make sure both adopters and hounds are happy. We offer full support should there be any queries or problems after adoption. 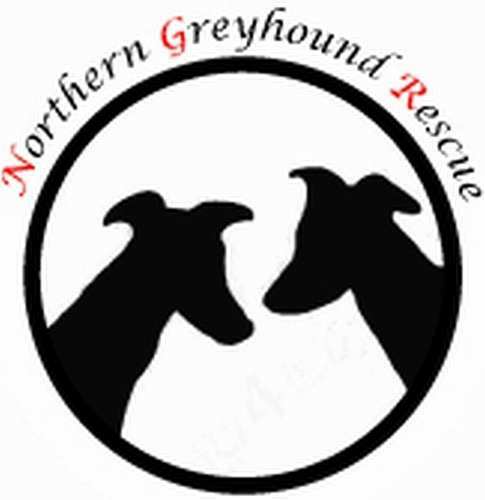 The dogs are all neutered, vaccinated, and microchipped by Northern Greyhound Rescue before going to their new homes. They also have four weeks free pet insurance from the adoption date. We do ask for an adoption donation. Our dogs are regularly changing, please contact us for available dogs. If we do not have a suitable dog for you, we will be able to put you in touch with another reputable rescue.